It is a common saying that Cricket and Cinema are the only two religions in India. I for once, disagree with the quote and fervently believe that the “Love for Food”triumphs all religions and is most religiously followed in the country. Even today, as I walk towards my home I can easily see numerous “small vendors” and “open area eateries” successfully catering to the gastronomic needs of hundreds and earning big bucks in the process.Be it a wedding featuring a lavish buffet or a nearby street joint, an exclusive 5 star hotel diner or a standalone restaurant they all are never out of business and downswings in economy never affects them. The explanation to all such phenomenon is simple- India loves food and Indians love to fancy their taste buds every now and then. The events industry however realized this fact very recently and hence the latest buzz word in the list of concepts yet to be capitalized upon is Food Festivals and Carnivals. 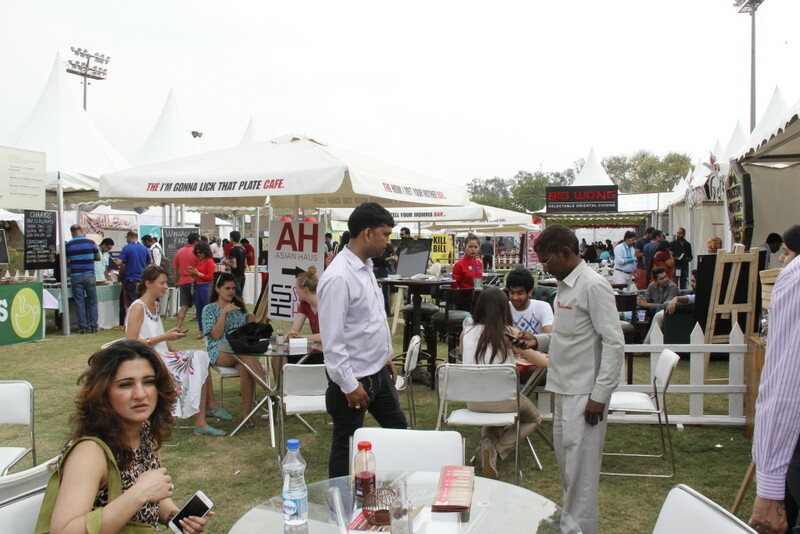 November 2014 saw the first of its kind New Delhi Palate Fest. 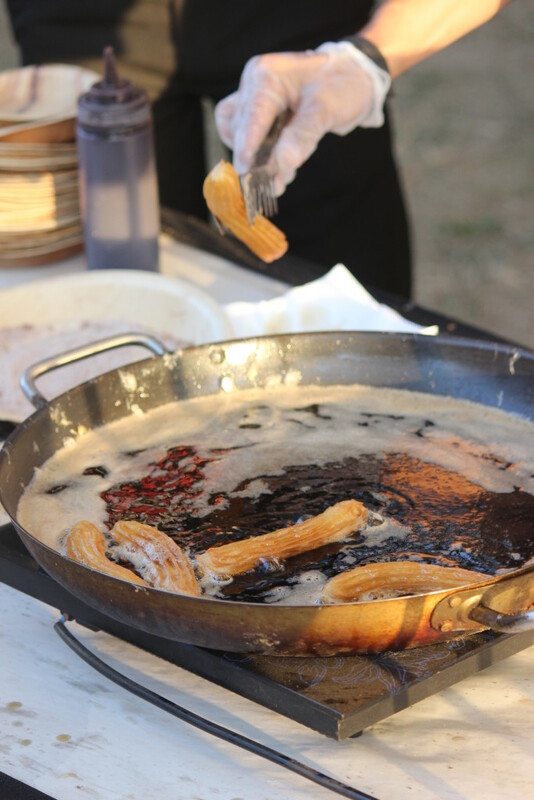 The 3 day festival showcased a diverse range of different restaurants, chefs , gourmet pop-ups and allowed food enthusiasts to taste and experience new flavors all in the lap of nature. The event was a massive success and the organizers followed the celebrations by organizing NDMC Palate Fest Mini on March 13 and 14, 2015; this however being the teaser for the upcoming edition of the fest. The most recent addition to events in the same category was The Grub Fest held onApril 3 – April 5, 2015 at the iconic Jawaharlal Nehru Stadium lawns. With the organizers of both The Grub Fest and New Delhi Palate Fest looking towards establishing their event as a signature brand, the comparison between the two is inevitable. So which food festival was better organized? Which one was bang on bucks and which festival failed miserably to live up to the hype? We at EE, reviewed both the events and definitely have the answers to above mentioned questions. To start off with the venue and entry; while New Delhi Palate Fest was organized at the Nehru Park, The Grub Fest was managed at the Jawaharlal Nehru Stadium Lawns. Both the venues are ideal for events like these but the key differentiator here was the utilization of space. While the Palate Fest had loosely organized restaurant arrangements with people almost forgetting where to head up next, The Grub Fest certainly had an upper hand as they learned from their competitors experience and combined the two huge lawns to create a better exhibiting area for the eateries. However, this scenario was completely different as far as entry to the festival was concerned. Though The Grub Fest had an established parking area and valet parking facility but an integral aspect where they lagged behind was the walking area towards the fest. With improper arrangements of lights and a long distance to go I almost wished that they also had an auto rickshaw to commute us. 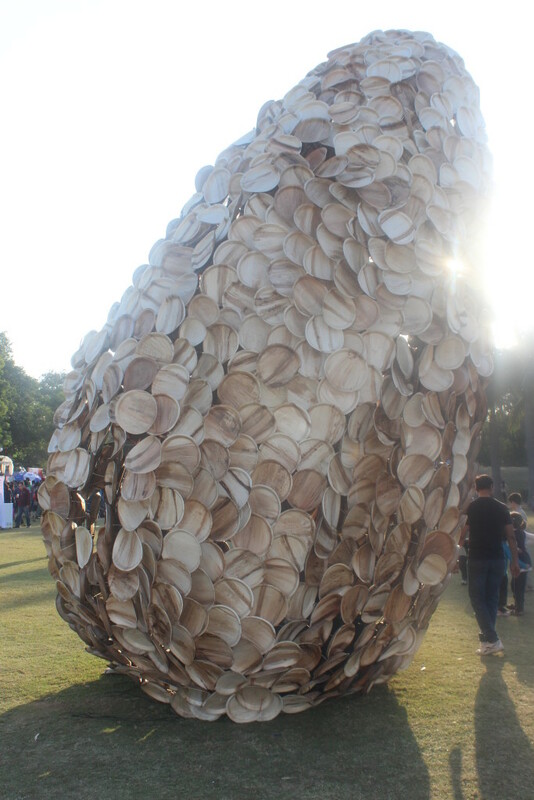 However, In terms of installations and art pieces it was The Grub Fest which managed to score brownie points with interesting installations at every step. While they might not have had giant installations of plates and tins like their rivals but they did had installations of Mercedes Benz, a dedicated photo booth by United Coffee House with a backdrop of Connaught Place in older times and multiple art-works by Studio Arc which managed to thoroughly engage the audiences who were standing in long queues to get their photographs clicked. Also, Chef Anahita from Soda Bottle Opener Wala who was scheduled for a live demonstration was ticked off with bad weather conditions as her demonstration was called off. Interestingly, the negative weather conditions for organizers were actually welcomed by the audiences as some of them enjoyed the change in climate as it had been a little too hot in the past few days. Another positive factor in favor of The Grub Fest was the new restaurants and food brands participating in their festival being sold off completely much before the end of the first day. Hungry Monkey and others but the lineup offered by The Grub Fest was far more superior as they had many new restaurants exhibiting themselves first time at a platform so huge, with eateries like Royal China, United Coffee House, Smokey’s, Fio, Town Hall, Khan Chacha, Switch, NYC Pie, Kathi’s, Shiv Sagar making their presence felt. However, managing the vivaciousness in the atmosphere was another aspect where The Grub Fest failed miserably as The Palate Fest had a livelier ambience which is a pre-requisite for a food carnival. As per unofficial sources a total of 15000 participants attended The Grub Fest at day one which is much lower than the figures registered by The Palate Fest. Without a doubt, The Grub Fest was a more organized food festival, roaring to serve the best gastronomic experience to its customers however with the rains acting as a dampener to their plans, desperately missing ambience, an additional entry fee, reduced audience participation and less engaging elements adding as they could sadly not reach at par with the standards set by the New Delhi Palate Festival. It will however be an interesting insight to see what food festival succeeds in engaging the audiences in the long term as the organizers of both festivals aim to continue with successive editions of their festivals in the future as well.